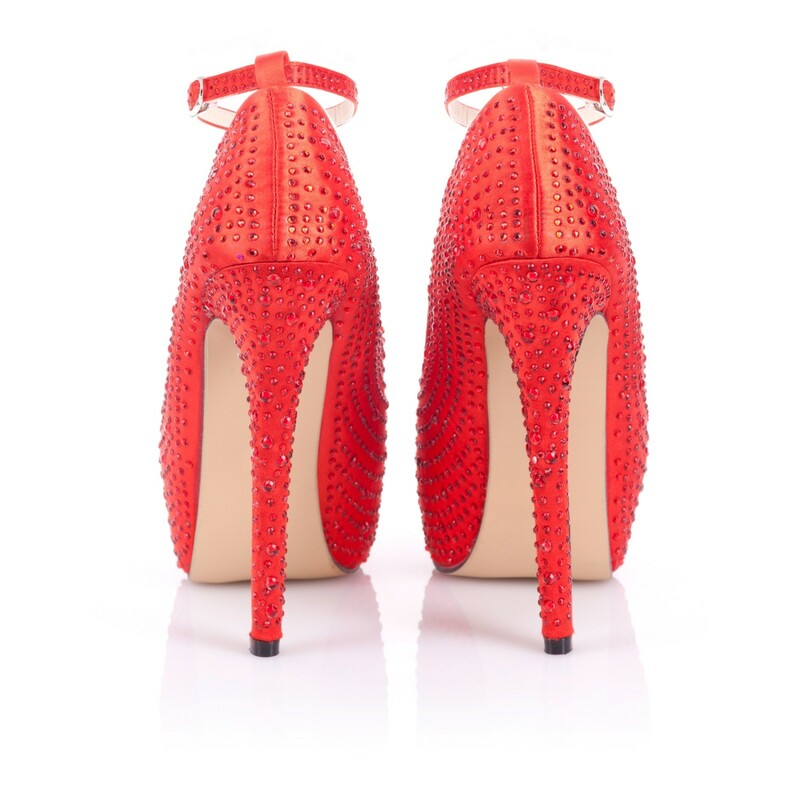 These showstoppers have a 5½ inch stiletto heel with a 1½ inch concealed platform. They are designed for you to stand tall and most importantly stand out. The lush red satin cloth has been embellished with high quality red diamantes which have been created to demand attention. Which has been used all over the shoe, including the heel. The adjustable ankle strap keeps the shoe secure on the wearer's foot while soft insole gives comfort to the wearers feet. The ankle strap can be removed to give a completely different look.